Security researchers at IBM Research came up with DeepLocker—a new breed of “highly targeted and evasive” attack tool powered by AI (artificial intelligence),” which conceals its malicious intent until it reached a specific victim. Describing it as the “spray and pray” approach of traditional malware, researchers believe that this kind of stealthy AI-powered malware is particularly dangerous because, like nation-state malware, it could infect millions of systems without being detected. The malware can hide its malicious payload in benign carrier applications, like video conferencing software, to avoid detection by most antivirus and malware scanners until it reaches specific victims, who are identified via indicators such as voice recognition, facial recognition, geolocation and other system-level features. To demonstrate DeepLocker’s capabilities, the researchers designed a proof of concept, camouflaging well-known WannaCry ransomware in a video conferencing app so that it remains undetected by security tools, including antivirus engines and malware sandboxes. With the built-in triggering condition, DeepLocker did not unlock and execute the ransomware on the system until it recognized the face of the target, which can be matched using publicly available photos of the target. So, all DeepLocker requires is your photo, which can easily be found from any of your social media profiles on LinkedIn, Facebook, Twitter, Google+, or Instagram, to target you. 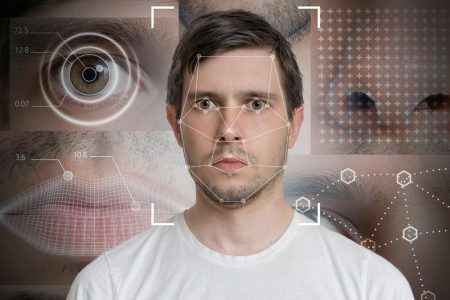 Trustwave has recently open-sourced a facial recognition tool called Social Mapper, which can be used to search for targets across numerous social networks at once.